Ivon Matamoros is a DREAMer who came to the United States from Mexico when she was 15 years old. She has lived in Arizona with her parents and sisters since that time. After graduating from high school in Phoenix, she got engaged and planned to marry in March 2011. Ivon has always been very active in her church, which is where she met her husband. 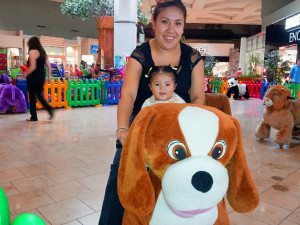 She and her husband now have a nine month-old U.S. citizen daughter named Zurisadai. The day before her wedding, Ivon was arrested at a worksite raid conducted by Sheriff Arpaio’s Maricopa County Sheriff’s Office. Ivon was detained and charged with using false documents, which is a felony under Arizona law. She has no previous criminal convictions. 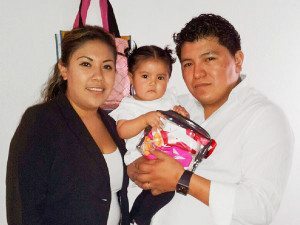 Because Ivon came to the United States as a child, she is eligible to temporarily remain in the United States under the Deferred Action for Childhood Arrivals (DACA) program. She was working at the restaurant to save up money to pay for her DACA fees. Ivon is ineligible for DACA and legalization because of her felony conviction under Arizona law. She now faces deportation and permanent separation from her family.